Two major events are coalescing to give us hope that we may be able to muster the political will to finally tackle the climate crisis. UN Secretary-General Ban Ki-moon has invited world leaders from government, finance, business, and civil society to a climate summit that will take place at UN headquarters on September 23, 2014. 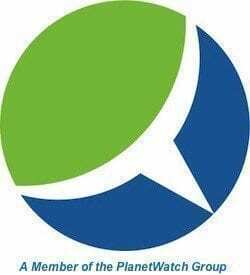 The goal of this meeting is to “galvanize and catalyze climate action.” On September 21, just two days before the Summit, the People’s Climate March will take place in New York and in cities all around the world. This is expected to be the largest ever assemblage of people calling for climate action. The implications of a world ravaged by climate change are dire, however, there is much we can do if we act now to mitigate against it and adapt to its unavoidable consequences. Although we have seen a surge in climate change causing emissions last year, we have reason to hope. “I have been pleased to see climate change rise on the political agenda and in the consciousness of people worldwide,” Ban said. The science of climate change is clear, but we need our leaders to muster the political will to act. The UN Climate Summit will address some very important issues meant to clear the way for an international climate agreement in 2015. Heads of State and Government will co-chair the four Thematic Sessions, which include presentations on climate science, climate health and jobs, voices from the climate front lines and the economic case for action. In addition, important discussions will be held on finance, forests, petroleum and industry, transport, agriculture, energy and resilience. The UN Climate Summit is part of Climate Week NYC, which runs from September 22-28. This week will host around 100 events in support of the Climate Summit. The UN Climate Summit has invited a number of business leaders, and businesses not in attendance are participating in a number of ways. Prior to the Summit, the UN Secretary-General called for commitments to action from the private sector. Business leaders invited to the Summit are participating in the UN Private Sector Forum. This is a unique platform for business to demonstrate its leadership on climate change. The Forum will bring together Heads of State with chief executives and leaders from civil society and the UN to engage in discussions on innovative and scalable climate change solutions. Many businesses not in attendance at the Summit are also participating by taking action to combat climate change, this includes 8 action areas (Agriculture, cities, energy, financing, forests, petroleum and industry, resilience and transportation). Another important initiative is Caring for Climate, which encourages businesses to make a lasting commitment to climate action. This is the world’s largest global coalition on climate led by the UN Global Compact, UNEP and UNFCCC. Since 2007, Caring for Climate has grown to over 350 companies from 50 countries. Caring for Climate provides a framework for business leaders to advance practical climate solutions and help shape public policy. Chief executive officers who support the Caring for Climate Statement are setting goals, developing and expanding strategies and practices, and publicly disclosing emissions. 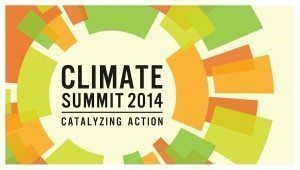 Carbon pricing will be featured as a global policy advocacy priority at the Summit. Those who are not in attendance are also supporting the pricing of carbon emissions as part of the Caring for Climate workstream. On September 21, just two days before the UN Climate Summit, hundreds of thousands of people will come together in New York and cities around the world for the People’s Climate March. This will be the biggest climate protest in history. Ordinary citizens will be joined by environmental groups of all sizes, businesses, unions, faith groups, schools, social justice groups and parent groups, all marching together to demand action on the climate crisis. The Climate March seeks nothing less than a radical shift in our perilous trajectory. The goal of the climate march is to show that public opinion on climate change has reached a tipping point and to force politicians to take action. The concrete goal is to put pressure on world leaders to forge a global climate agreement. The People’s Climate March is an unprecedented call for climate action that may well rally the climate vote and alter electoral outcomes. University students have proven themselves to be a driving force behind the divestment from fossil fuels movement and they are also key players in the forthcoming People’s Climate March. Students on over 250 campuses will be sending delegations to the March. Despite years of failure, we have reason to believe that we may succeed in facing the daunting challenge of building consensus for a 2015 agreement. World leaders and ordinary citizens are mobilizing for change. The urgency of the climate crisis may finally be coalescing into a global movement that succeeds in making the necessary changes. We must find the audacity to hope that we will secure an international climate agreement in 2015.